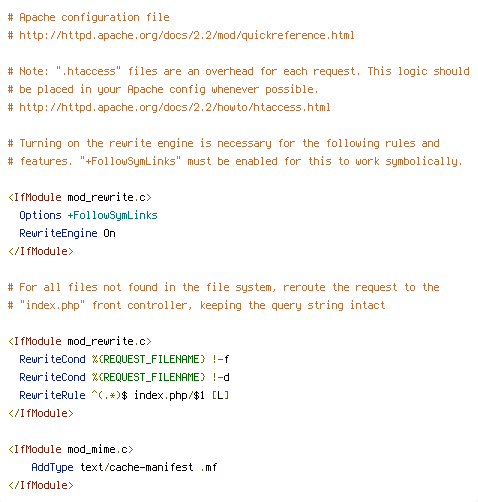 # be placed in your Apache config whenever possible. # features. 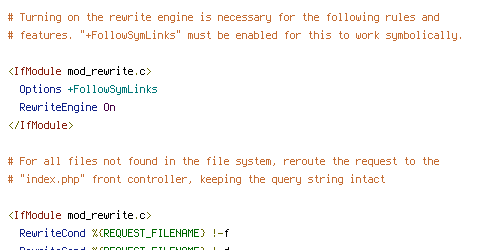 "+FollowSymLinks" must be enabled for this to work symbolically.